When high-speed railway lines reach the Spanish rural environment, public transport has evolved with different results in each of its cities. As has happened in Albacete, the last city in Castilla La Mancha to have access to the network and contributing to the fact that this region is the one with the highest number of high-speed km in the country and of mediumsized cities equipped with this mode of transport. 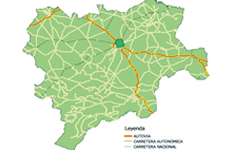 This article qualitatively analyzes the state of public passenger transport in Albacete and its area of influence over the last few decades and its transformation by joining the high-speed rail network, an evolution which, when compared with that of other Spanish cities, allows us to define which elements motivate a greater or lesser evolution of public transport in rural areas.